Summer is definitely behind us now with October ushering in a shoulder season that can be challenging to "enjoy" or love. The sun is barely out when my child goes to school right now and I'm never sure how to dress him when we head out the door in the morning. Do we dress for the morning where the temperature hovers around zero or do we dress for the afternoon where the temperature will rise to 15 degrees if we're lucky? Add the loss of leaves from the trees, fall cloud cover, wind, and rain, and it's just really hard to get inspired to get outside at times. Challenging as "shoulder season" can be though, I personally really love the months of October and November. I enjoy the down time where I can rest a bit before we launch into ski season. I like staying home a little more (something we never do in the summer,) and I value having the time to catch up on chores around the house. I also have a very strong belief in "seizing the moment" and making the most out of every season. Peak hiking season may be behind us with ski season yet to arrive, but read on and find out what my family loves to do in October to make the most out a great month. Last winter we got the opportunity to spend a night in the rustic yurt at Mount Engadine Lodge, located in Spray Valley Provincial Park. The lodge can be reached via the Spray Lakes Road, Hwy 742, and is only an hour south of Canmore. We've spent many weekends at this cozy lodge and it is one of my favourite places to spend a weekend in the Rockies. Mount Engadine Lodge offers their guests the opportunity to "feel" as if they've skied or hiked into a backcountry lodge for the night with its remote setting in Kananaskis. Fortunately though, you won't have to ski or hike into the lodge. Mount Engadine is fully accessible by vehicle and makes for a lovely base camp for the nearby trails in both Spray Valley and Peter Lougheed Provincial Parks. The Chester Lake trailhead is less than 5 minutes down the road from the lodge and the Rummel Lake trailhead is directly across the highway. The Mount Shark trailhead is also located less than 5 minutes from the lodge for families wanting to bike or hike into Watridge Lake for a day. Other options in the area include hiking in the Upper or Lower Kananaskis Lakes area, biking the paved trails in Peter Lougheed Provincial Park, or exploring around Canmore as you drive to or from the lodge. All stays at Mount Engadine Lodge include accommodation in either a comfortable lodge room or suite, or in one of the suites in the cabin next door. Their is also a 4-person yurt on the property for those who want to try some luxury glamping. Stays include afternoon tea (with charcuterie board and desserts,) dinner (served family style in the lodge dining room,) breakfast the next day (made to order,) and a packed lunch for your day's adventures. Dogs are welcome at this lodge as well with several suites allowing pets to stay with you in your room. Please visit the Mount Engadine Lodge website for more information on accommodations, services, and location. If you are interested in reserving the yurt for a stay this fall or winter, it is $125.00 per night per adult including all meals at the lodge. Children receive a reduced rate. If you just want to camp in the yurt without meals, it is $50.00 per night. Enter to win a one-night stay in the yurt at Mount Engadine Lodge for a family of three or four people. All meals will be included with your stay as mentioned above. The winner will receive a gift certificate which will expire on May 31st, 2017. Please note that accommodations in the yurt are very basic. The yurt comes furnished with two bunk beds and a small table. Be prepared to bring warm down sleeping bags as there are no linens or bedding on the bunks. The yurt is also not heated but does come equipped with a small propane heater in winter. When we stayed at the yurt, we slept there but spent most of our time in the cozy lodge which is definitely heated with indoor plumbing and electricity. To read about our family's stay in the yurt last winter, please read my story: Yurt Camping in Kananaskis at Mount Engadine Lodge. To enter to win, please go to the bottom of this post and follow the instructions there. If you have problems let me know and I will help you enter. Thanksgiving is around the corner and it's not too late to plan a weekend away! Check out my last story on 5 great destinations for a fall bike weekend or day trip. The story even has suggestions for where to stay and I already checked them out to ensure there was still room. 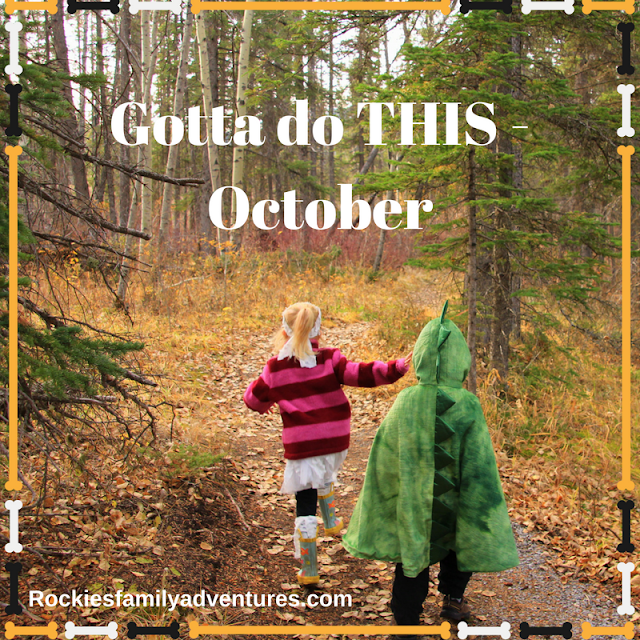 This is hands down our FAVOURITE thing to do in October! We plan a ginormous outdoor Halloween party complete with costume hike, pinatas, bonfire, hot dogs and marshmallows. Add candy, snacks, and everything else that arrives for the pot luck affair and it's a great afternoon spent in Kananaskis. Want an invite to the party of the year? Sign up in our Wild Family Nature Club here in Calgary. 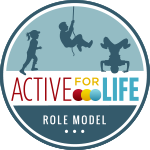 You'll have to create an account first, but you can then sign up for all of our outings coming up from after school play dates to junior biker gang rides, fall hikes, winter snowshoe hikes and ski trips. Not up for "crowds" or don't want to plan a big party? That's fine! Gather a few family friends then and plan a smaller costume hike in the city or on your favourite hiking trail. Just make sure it's an "easy" hiking trail because those princess dresses get caught on roots and tree branches very easily! What child doesn't like running around in the woods dressed as a super hero or a pirate? We've also done costume bike rides near Halloween which has been super fun. I like assigning a "super hero" theme because everybody has a cape (or can make one out of a pillow case) for creating an easy bike-friendly costume. Near Calgary, I like Troll Falls as an easy Halloween bike ride. It's even appropriately named for a spooky ride. For more on how to plan an outdoor Halloween party, check out this story I wrote on how to Plan an Outdoor Halloween Bash. The leaves are gone from the trees, it's chillier and possibly windier, and there's a definite feeling of "gloom" in the air on many weekend days. No matter though because there are some great hikes that are actually MORE fun in the fall than they are in the summer. Cat Creek Interpretive Trail, Kananaskis. This 1.3 km trail ends in a beautiful 6-metre tall waterfall and passes through a delightful little canyon. I find the hike to be a bit small for a summer day hike, but in fall when days are short, it's the perfect half day outing. We like to drive down Hwy 40 over Highwood Pass from Calgary and then return via Longview and Black Diamond. To plan your return drive, visit the Cool Little Towns website and choose a restaurant or coffee shop to visit after your hike. Prairie View Trail, Kananaskis. The Alberta Parks website lists this trail as 6.6 km one way but that is the full distance to the intersection with Jewel Pass and you likely won't be going that far with your kids. Hike to the scenic viewpoint on the ridge overlooking Barrier Lake and Mt. Baldy across the way for a pleasant 4.6 km hike one way. Turn around when you reach the rocks and lookout site or continue up to the Barrier Lake Fire Lookout in an additional 0.7 km. Total height gain if you were to hike to the Fire Lookout is 616 metres with a total of 10.6 km return distance. The reason I like the Prairie View Trail as a shoulder season trip is because it's a pleasant hike when higher elevations are covered in snow. You can often hike this trail year round and it's an enjoyable walk on a cooler day. You'll also be protected in the trees for much of the hike. To read about our fall hike up to the Fire Lookout last year, please read First Summits: Barrier Lake Lookout, Kananaskis. Sulphur Mountain, Banff. This strenuous hike gains 655 metres of elevation gain in 5.5 km and takes you to the Upper Terminal for the Banff Gondola (from where you can hike a short ways further to the summit of Sanson's Peak on a lovely boardwalk trail.) Honestly though, unless you really need the exercise or want to save the money, skip the climb and enjoy the 8 minute gondola ride. The Banff Gondola has also recently undergone a huge expansion and upgrade, and we got to take a look around a couple of weeks ago. There's now a fabulous interpretive centre in the upper terminal building, a brand new "sit down" restaurant, and a specialty cinema. I'll be back early October and will have a full update and review for you then. Tunnel Mountain, Banff. This is another short hike that I find hard justifying in the middle of summer as an actual "day trip." In autumn however, it makes for a pleasant half day hike when the kids get off school at noon on Friday. Combine it with a trip to the hot springs or dinner out in Banff for a longer day trip. The hike is only 4 km return with 300 metres of height gain. For many children, this will be their first summit that they tackle on their own little feet and it's a proud moment for many families when the kids reach the top of this peak for the first time. One of our fall favourites is Forget Me Not Ridge in the Elbow Valley to the North Summit. We hiked the ridge last October and it felt like August up there. The return trip distance is roughly 9 km to the north summit (so save it for a day when the kids have a lot of energy) and you'll be gaining 625 metres of height gain on a very steep trail. My son loved the Forget Me Not Ridge hike last year at age 6 but I'd recommend it for children that are perhaps a little bit older unless you have a very strong 6 or 7 year old who's done some other big hikes this summer. En route to the summit you'll have to cross the Elbow River (very braided and easy to cross) so we like to save this hike for fall when the river is lower. Last year our feet barely got wet. Another popular summit that is great this time of year is Prairie Mountain in the Elbow Valley. It is accessible for hiking well through November and is relatively easy as long as you bring a pair of ice cleats or spikes if it's snowed recently. The Rocky Mountain Wine and Food Festival, Calgary - October 14th and 15th at the BMO Centre in Calgary. Tickets available on line (cheapest option) or at the door. Sampling tickets can be purchased once you arrive at the event for 50 cents each. While this festival is an adults-only event, I feel like it is a very pleasant way to spend an afternoon or evening with your partner or a group of friends and we all need some time away from the kids. Last year I discovered my new favourite bottle of wine at this festival and I still enjoy it today. Note that I will running a giveaway for a pair of tickets to this festival starting on Tuesday, October 4th. The tickets will be valid for the afternoon tasting session on Saturday, October 15 from 12-4 p.m. The Banff Mountain Film and Book Festival - October 29th to November 6th at the Banff Centre. This is another event that does not scream "family friendly" but that I highly recommend should you want to plan a "date" day or evening with your partner, or should you want to plan a girls or guys getaway to Banff. My husband and I used to go out to the festival every year for the Saturday and Sunday day time screenings on the second weekend. We'd watch the entire program both days, watching until our bums were numb, but our heads were spinning with fresh inspiration and zest for mountain adventures. Even if you just make it out one evening to see a movie, I highly recommend a trip to Banff to soak in some "Banff culture" during this 9 day festival. If you want to pop by with the kids while out in Banff for a hike, make sure you stop in at the Mountain Art and Craft Sale, one of the free kids' programs, or the Mountain Market Place. The Jasper Dark Sky Festival - October 14th - 23rd in Jasper. As mentioned in my recent story on fall biking trips, Jasper is a fabulous destination for an autumn road trip with the bikes. Plan a weekend getaway to Jasper and spend your days riding the easy trail system with the kids, and then spend your evening star gazing and attending some great interpretive programming. There are many free as well as ticketed events during the festival so check out the events section on the festival website and see what your family may find interesting or within budget. Much as I'd like to stick with just the "Best of October" in this post, one has to plan ahead or you'll find that there are no hotels, cabins, hostels, or resorts left when you want to travel. Below are a few things to plan for and to keep on the radar. 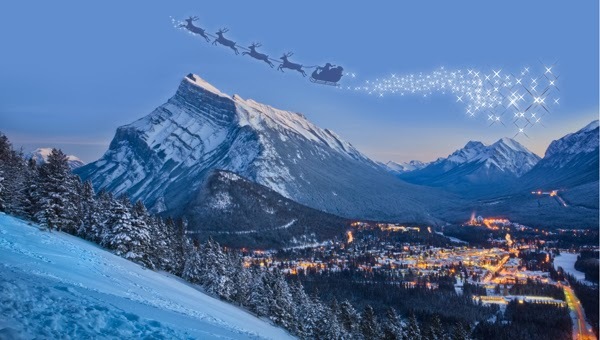 Next Major Event to Attend - The Santa Claus Parade of Lights in Banff on November 19th. Yes, it's moved to November this year. I'll talk more about this in next month's "Gotta do THIS" edition but if you want to stay overnight after the parade, you'll want to book that hotel room now. Buy your Winter Ski Passes Now - Now is the time to buy your family ski pass for Calgary's closest mountain, Nakiska Mountain Resort, for just $699.00. The winter pass sale for Nakiska Mountain Resort ends on October 15th though so buy those passes now. And if you have a child in grade 2, you can buy them a special Grade 2 Fun Pass for just $20.00!! You can bet my son has one of these already and we're planning to ski as much as we can this winter. The RCR grade 2 fun pass is valid for skiing at Nakiska, Fernie, Kimberley, and Kicking Horse Resort. And should you need a single adult season pass for Nakiska Mountain Resort, they have been reduced as well to $299.00. Plan your Family Getaways Now - It may already be too late to book spaces in some wilderness hostels or backcountry huts for this winter, but it's worth a try. Below is some inspiration if you want to research ideas. Enter to win a one-night stay in the yurt at Mount Engadine Lodge for a family of three or four people. All meals will be included with your stay as mentioned earlier in this story. The winner will receive a gift certificate which will expire on May 31st, 2017. The Winner's name will be drawn randomly and I will be following up directly with the winner to verify that the chosen person will be able to make it out to the Lodge before the end of May. I will also verify that the winning person is in fact planning to bring at least one child with them and that this will be a "family getaway" with a maximum of two adults and up to two children. Please note again as mentioned earlier in the story that this is a rustic yurt with basic amenities. Guests must bring their own bedding and be prepared for a "camping" experience. You will find more than enough luxury in the main lodge building to make for a very comfortable night. The contest will close at midnight Monday, October 10th. Winning name will be drawn the following morning on Tuesday, October 11th. Thank you to this month's sponsor, Mount Engadine Lodge, for partnering with me on the opportunity to spend a night at their fabulous lodge. Please note that I was not paid to endorse any of the companies, festivals or activities in this month's post. I search the web and try to simply share the best of the best with you each month. I would love to check out the cross-country ski trails by the lodge with my family! Such great ideas, Tanya! Mount Engadine has been on our list for a while and if we were staying there we would definitely check out one of my fave hikes, Rummell Lake! I would love to take my kids cross country skiing! Hi! Love the information you provide, Tanya. I'd like to enter the draw. If we win, we will go to Chester Lake to snowshoe/hike. We'd love to stay in the yurt! The only question would be... fat bikes or skis? A winter yurt stay, the kids (and adults) would love it! We'd love to hike, bike or ski and look at the stars if we had a night at Engadine! Great ideas for shoulder season hikes - i always get a bit depressed by the beginning of October after the high and constant activity of summer so it's great to have some ideas for fall/early winter hikes. Perfect timing for fall hike reccomendations! Great post and great contest! My family would love it. We've been talking about going to Mount Engadine Lodge all year. 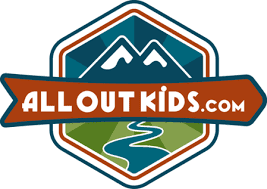 There are some fun hikes nearby that we'd love to try, and more animals for my kids to spot. How awesome would it be to I'm win! !! Constantly following and reading your stories and adventures! 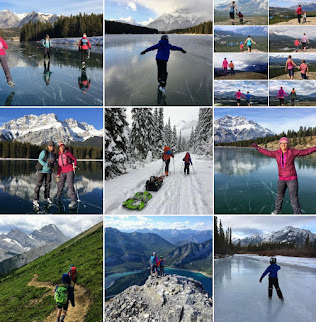 We plan our family trips from your blog and posts year round:) Would love to cross Engadine off the bucket list:) I'm gettingr stoked right now, we are staying at a hostel in Field, getting up tomorrow am to hike around Lake Ohara looking at your photos in the fall a few years ago! Can't wait! Would love a snowshoeing weekend with some close friends. Adventure and great company - the spice of life. Cross country ski and toboggan. Hopefully before hubby's big foot surgery sidelines him for 6-12 months! 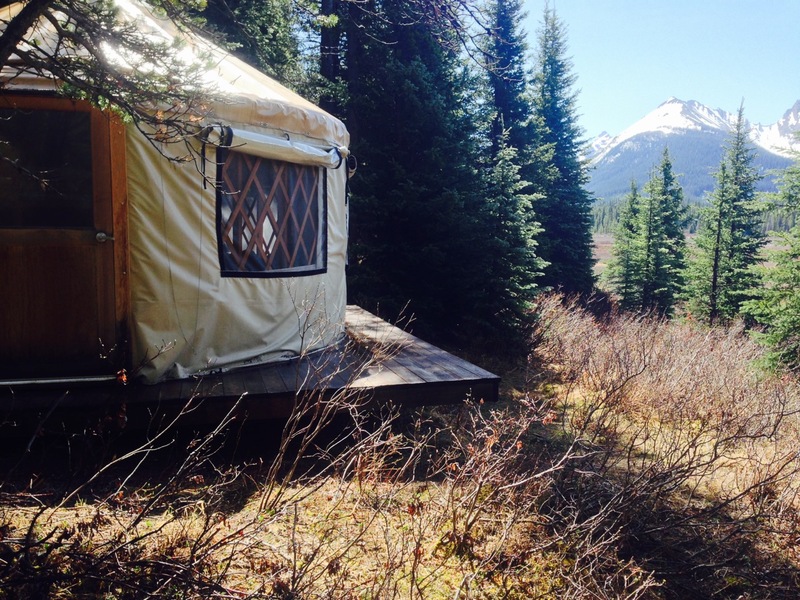 My husband and I would love to introduce "winter camping" to our almost 3-year old son at the Mount Engadine yurt! Plus, go for a x-country ski and snowshoe. What fun!! My husband and I would love to introduce "winter camping" to our almost-3 year old son at the Mount Engadine Yurt. Plus, we would go x-country skiing, snowshoeing, sledding, and then curl up to a nice warm fire! So exciting!! We'd love to ski and snowshoe around Mount Engadine Lodge. Thanks for the tips, Tanya! Would love to take my family here to check out the beautiful scenery and go for some awesome hikes!! I would love to take my family here to check out the beautiful scenery and enjoy a few hikes in the wilderness!!! We would love to build a snowman and play board games and read stories by the fire in the lodge! 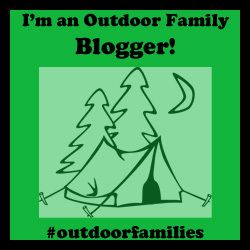 After following your blog this past year I really want to do some winter camping with my little family this winter. We stared snowshoeing a couple years ago and winning this contest would help make the perfect winter family getaway. Cross your fingers for me!! After following your blog this past year I really want to take my little family winter camping. We starting snowshoeing a couple years ago and spending a night at the yurt would be a make great place to base our winter adventures. Cross you fingers for me!! Building snowmen with my boys! I would love to hike around Chester Lake (your photos are beautiful!) and perhaps try a bit of snowshoeing with my family! :) This would be such a great experience, fingers crossed! Spend some family time and getting out to snowshoe! We drove past there last year and thought it was beautiful! My 6 and 3 year old would love to snowshoe and be pulled in their sled around there. Never mind eat all the food!!! I've heard the afternoon tea is worth it just to drive out for! Nature is what makes me whole and to be able to share that with my loved ones would be the icing on the cake. Hiking, exploring, playing games & star gazing are some of the things we'd do. I would love to spend a date night with my husband at the lodge. Fingers crossed. Definitely some snowshoeing and hiking with the family! Thanks for the chance! This looks like such a great spot to get away with the family. Being that we are new to Calgary and this will be our first real winter (after living near Toronto). I would love to get the family out experiencing snowshoeing or cross country skiing since these were activities I loved doing growing up in Northern Ontario. What a great list! Can't wait to head out and do some of these things! I would like to do some backcountry skiing! I would definitely explore the nearby trails. Looks so peaceful. I've been dreaming of this place for a while now. A Mount Engadine getaway is certainly on my wish list. Would love to explore the grounds with my family - and would especially enjoy the afternoon tea with my wee gal. Thanks for sharing this! I'd love to go with my family. It would be a nice base camp to access some of the hiking in the area that is pretty far from our house with toddlers for a day trip. We would love to go cross country skiing with our family. Snowshoeing and cross country skiing would be a great way to enjoy the area with my family. This would be an amazing family adventure we would love to win! I would love to spend the night in a yurt one day. Your area is filled with so many great opportunities to get outdoors. Shoulder season is a little different, but there is still plenty to explore. What would you do with your family while staying at Mount Engadine Lodge? I would take my children on a hike or two or maybe snowshoeing or skiing would be fun too! But we would like be the made to order Breakfasts!! This looks like so much fun! We would love to do some xcountry skiing or snowshoeing with our girls. Have a fun getaway with my little family! Snowshoe, enjoy the beautiful food and scenery, play in the snow... This would be so fantastic!